We are a group made up of Directors from 21 disability service organizations throughout Southern Alberta who provide quality services for people with developmental disabilities and work to create meaningful change in our communities. We are looking for a logo that best represents our group. Please have a look on my designs to click on my mane. Thank you everyone for your entries - we have sent them out to our membership for voting. Please check entry #93 thanks ! Kindly check #62. And some feedback would be great! # 17 , hope u like ..
Hi there. Please can you give some scope about what you do and do not want within the logo? At the minute there isn't enough information about the design requirements. Hi raofdesign - we have already looked at many different 'typical' logos. And have looked at implementing our province into the logo, but haven't been able to do that efficiently. To find out more about what we do, if you looked up PDD Alberta - Persons with Developmental Disabilities. That would give you more information. We don't want the 'typical' community service logo. 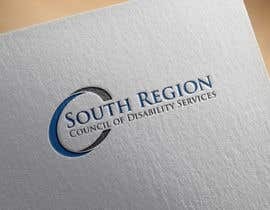 The name is South Region Council of Disability Services, and no, we prefer no disability in the logo. We are all about creating community, opportunities, relationships - not concentrating on their diagnosis.